Eight weeks to go before the Run Woodstock weekend and my big running event of the year. This means despite the statewide sauna that has been Michigan this summer, I’ve gotta train for it. And what better way to prepare for a Woodstock weekend than by doing a lot of L.S.D.? Okay, I’ll end the suspense right here. It means Long Slow Distance. And it’s an essential part of training for marathons and beyond. And this year, I’m going beyond. 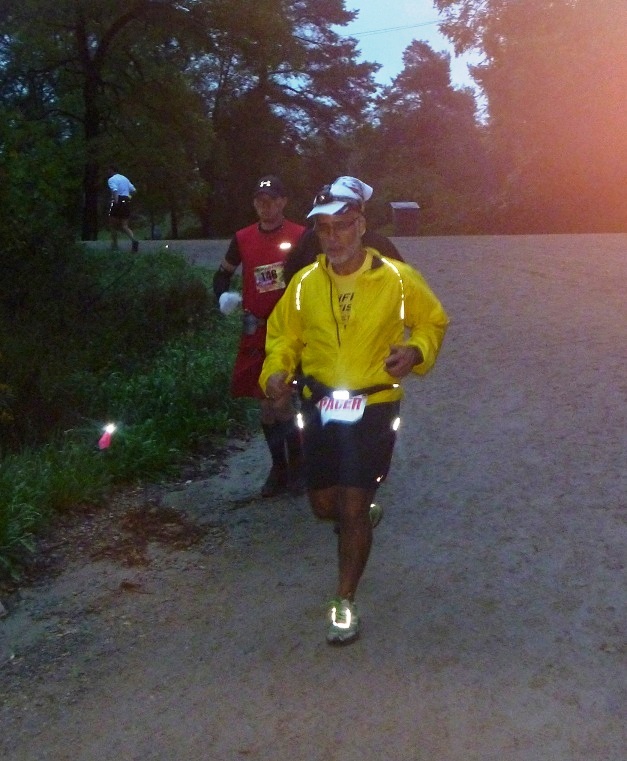 This guy was pacing the 100-milers in 2012 two weeks after completing an Ironman. I forgot to ask what planet he’s from. So far I’ve tried out a couple of different sessions. A “5-25”, which is a five-mile run followed by 25 miles on the bike, is something I can get in after work on a weekday. 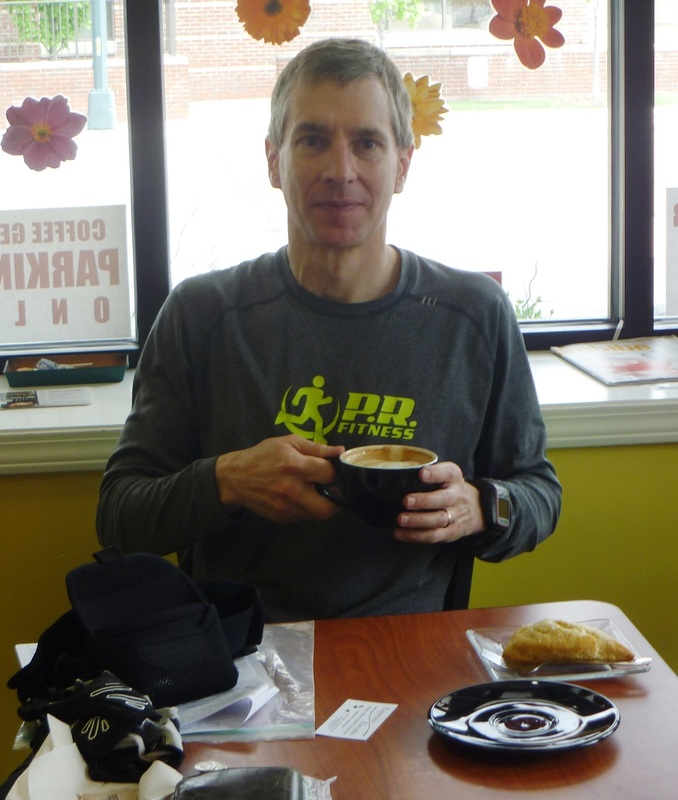 For longer training on Saturdays, I’ve been doing a “10-50”, working in some stops at small towns like I did last year. Riding keeps my body working at a steady rate for several hours, without over-stressing my legs or causing me to hate half my workout. And I don’t want that. After all, if you’re doing L.S.D., you should at least enjoy the trip. Man. (*) For those of you shaking your head right now, I wish to point out that you can sign up to run as many as 100 miles, which is six loops. And people do. So I’m not quite as crazy as them. Yet. 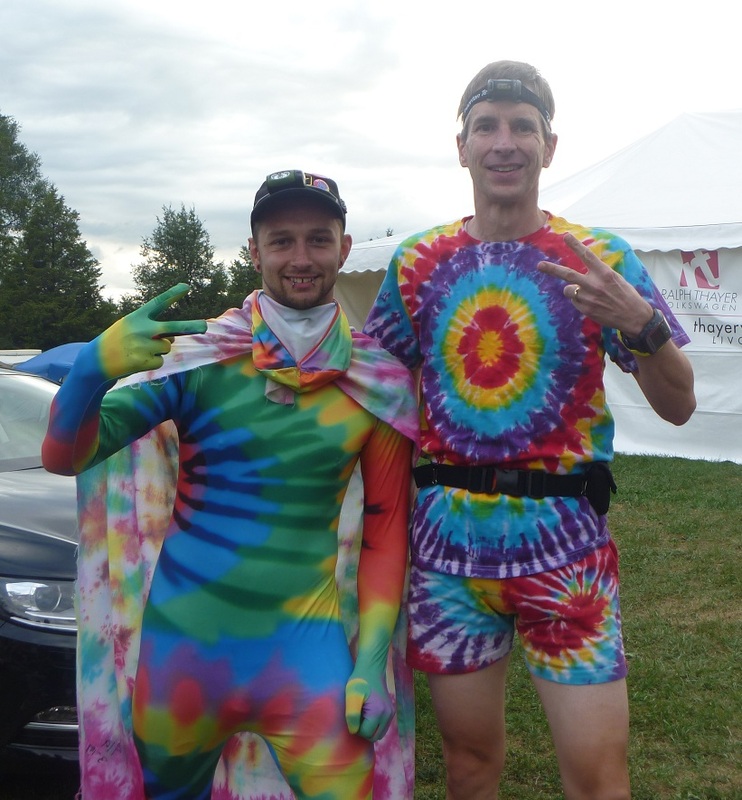 This entry was posted in Running & Cycling and tagged 50, 50 miles, Cycling, fitness, long slow distance, Run Woodstock, Running, training, ultramarathon. Bookmark the permalink.